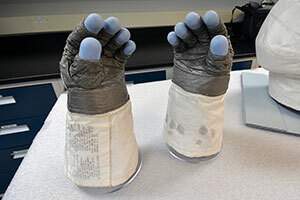 — The Smithsonian's National Air and Space Museum will commemorate the 50th anniversary of NASA's Apollo 11 mission with a week-long "First Moon Landing Celebration" in July 2019. Museum officials on Wednesday (Sept. 12) announced the celebration and plans for a series of events and exhibits to lead up to the anniversary beginning in October. 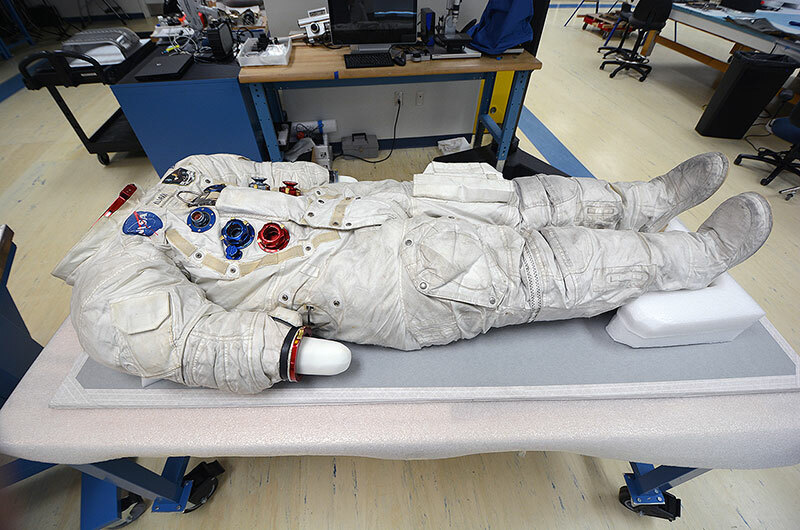 The Smithsonian includes in its collection the spacecraft, spacesuits and much of the equipment that astronauts Neil Armstrong, Buzz Aldrin and Michael Collins used to achieve the first lunar landing on July 20, 1969. 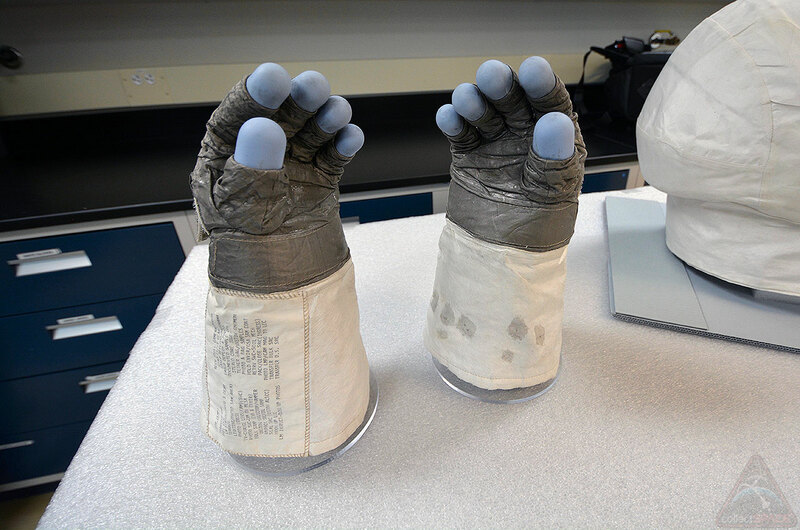 "We see the Apollo 50th anniversary as an opportunity to introduce a whole new generation to what happened during our lifetimes," said Valerie Neal, space history department chair at the National Air and Space Museum. "The majority of our visitors now were born after 1969. They know the story secondhand, but they don't have that visceral experience of it." "We're hoping to use this occasion to spark that kind of excitement and start thinking about what can we do in the 21st century that is comparable, whether we do it in space or we do it here on Earth," Neal told collectSPACE. The Smithsonian's five-day First Moon Landing Celebration is scheduled for July 16 through 20, 2019, such that it coincides with the 50th anniversaries of the Apollo 11 launch, lunar landing and moonwalk. Details will be announced at a later date, but activities are planned for inside the museum and on the National Mall in Washington, DC. 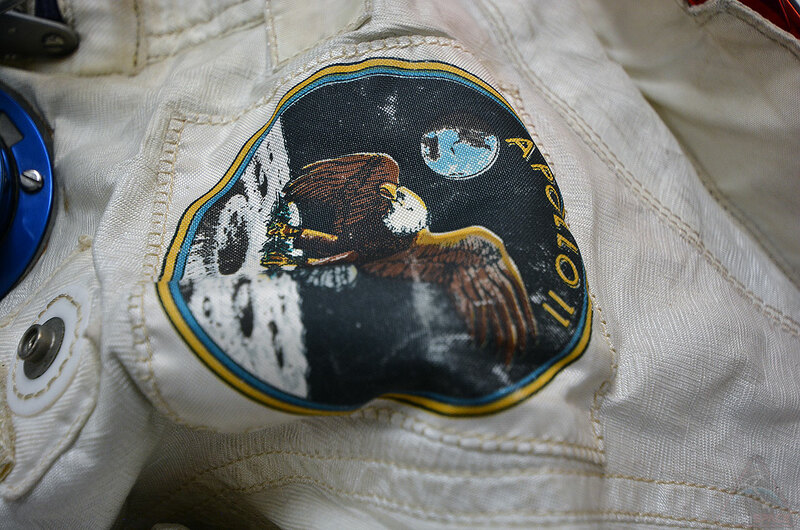 Prior to the Apollo 11 celebration, the National Air and Space Museum will join others in the nation's capital to commemorate the first Apollo missions to launch astronauts into space and to the moon. On Thursday, Oct. 11, the 50th anniversary of the launch of Apollo 7, the museum will host officials from the U.S. Mint to reveal the obverse, or "heads-side," design for the Mint's Apollo 11 50th Anniversary commemorative coins to be issued in January. Following the direction of Congress, the Mint held a contest to design the face of the 2019 curved coin, which will be struck in gold, silver and clad metal. Proceeds from the coins will benefit the Astronaut Scholarship Foundation, the Astronauts Memorial Foundation and the Smithsonian — the latter to support the National Air and Space Museum's "Destination Moon" gallery opening in 2022. 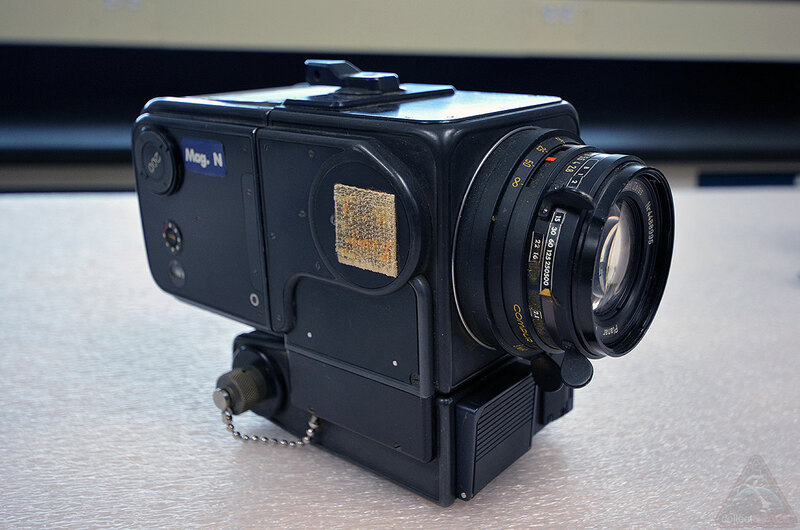 On Friday, Dec. 7, the museum, together with NASA, will host historians, writers and journalists to consider the current state of the field of space history. The Apollo Dialogues workshop will consider paths for future scholarship using the 50th anniversary of the moon landing as an opportunity "to reflect on what we know about the Apollo era and its legacies, what we still need to learn and how we may best record and interpret the significance of spaceflight in society today and into the future." Then on Tuesday, Dec. 11, the National Air and Space Museum will hold an event celebrating Apollo 8, the first mission to send humans to orbit the moon 50 years ago. "The Spirit of Apollo," to be held at National Cathedral, will explore the "spiritual meaning of exploration and global unity" in the 1968 mission's Christmas Eve broadcast, during which the crew — Frank Borman, Jim Lovell and Bill Anders — famously read the opening lines of Genesis from the bible. Lovell is scheduled to attend the event, which will also include National Air and Space Museum director Ellen Stofan and NASA Administrator Jim Bridenstine. Additional speakers and further details, including free tickets for the public, will be available on the museum's website later this year. Over the next ten months, the Smithsonian's touring exhibition "Destination Moon: The Apollo 11 Mission" will continue on its four-city tour, which began in 2017. 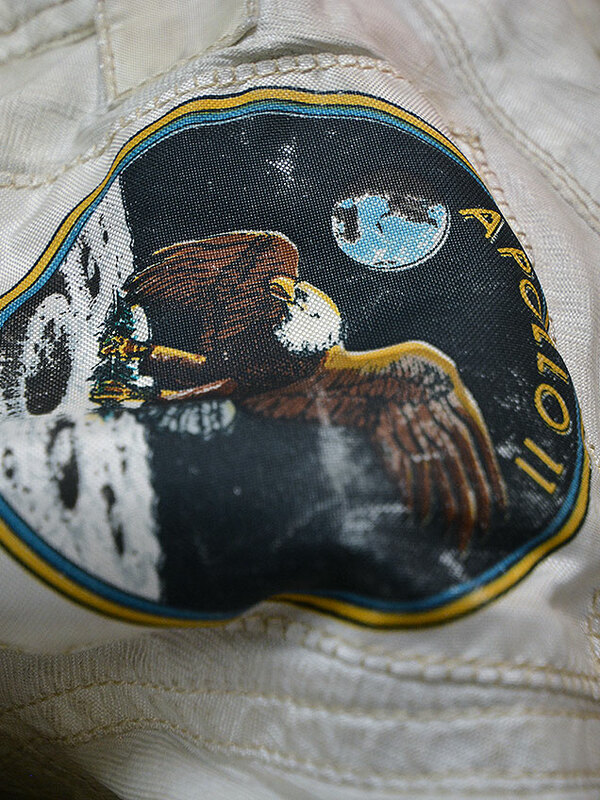 The exhibit, which features more than 20 artifacts from the first moon landing mission, including the Apollo 11 command module "Columbia," recently concluded its engagement at the Saint Louis Science Center in Missouri, following its premiere at Space Center Houston in Texas. On Sept. 29, "Destination Moon" will open at the Senator John Heinz History Center in Pittsburgh, Pennylvania. 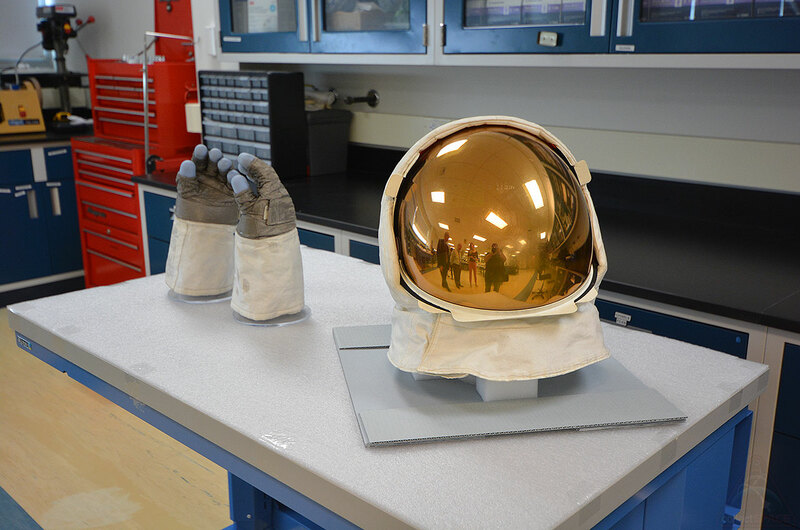 Then, beginning in March, the historic spacecraft and related displays will move to Seattle. The Museum of Flight will host "Destination Moon: The Apollo 11 Mission" through the 50th anniversary in July. "There are all of these debates about reinterpreting Apollo and all these questions have to be grounded in some material, unalterable physical truth. 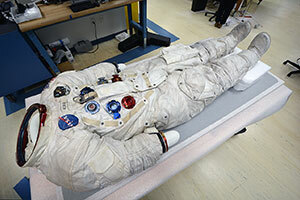 That's the role of the museum," said Allan Needell, a space history curator at the National Air and Space Museum. "Not to engineer the interpretations, but to make sure that anyone who wants to ground what they are thinking, has some ground truth to base their thinking on." "Not to say that the entire story is one of hardware and physical things, but it is a key part," Needell told collectSPACE. To that end, the National Air and Space Museum will return Neil Armstrong's Apollo 11 spacesuit to public display for the first time in 13 years as part of the First Moon Landing Celebration in July. The exhibit concludes an extensive conservation effort funded by thousands of public donations through Kickstarter. Both the spacesuit and Apollo 11 command module will be featured exhibits in the museum's new "Destination Moon" gallery when it opens in four years. The museum is planning additional talks and events in celebration of the Apollo program's 50th anniversary to be announced at a later date. For those who cannot make it to Washington, DC, the Smithsonian Channel will air on television a six-hour series, "Apollo's Moon Shot," featuring video from the National Air and Space Museum, and then on July 20, 2019, a one-hour special, "The Day We Walked on the Moon," focusing on the historic Apollo 11 mission.